After reviews of some AI related books caught quite a interest from TheMightyData.com community, I decided it to elaborate on these points a bit and point you to yet another insights. To prevent turning you into bookworms, I decided to pick a bit more engaging media this time and I would like to inspire you to see some good AI related video speeches. Enjoy! 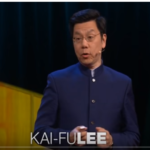 If you work in AI community name of Kai-Fu-Lee might not be unknown to you, as he stood behind boost of AI in Apple (and few other platforms). What is more, his view on AI is rather encouraging. In his life (and attached video) he strives to point our areas, where people can succeed even after AI fully kicks in. Is it hope worthy following? Well, that conclusion I leave up to you to make after seeing this great video. There are at least 2 things fascinating about this video. The first one that it was filmed 8 years (!) ago. That depicts how far away the Oxford guys have been in the respective topic already back then. Even 10 years later down the road, some research teams are not at verge of the same understanding of matter. 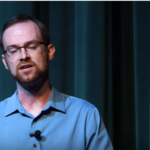 The second fascinating aspect of the video is that in less than 16 minutes, it walks the spectator from basics of Neuroscience up to expert insight on Neural Simulations. And that is certainly worth your 16 minutes. Andrew was only (hard to believe) 17 years old when he delivered this speech. And if you pardon his young enthusiasm (here and there bordering with affect) he will introduce you to load of interesting thoughts on what are the next milestones for General AI, as well as how will General AI most likely behave, when it comes. For those educated in matter, some parts of the speech might be, I admit, a bit sluggish. However, have You pumped into applause any hall of that size when you were 17? 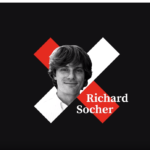 Richard Socher is professor at Stanford Computer Science Department, mainly focusing on Deep Learning. 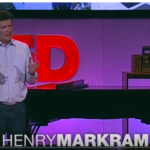 And he is awesome in clearly and humorously explaining what progress there has been achieved in neural networks lately, as well as stating where AI still drags its feet (as you will see sometime literally). For those facing master or PhD thesis this might be good short list of highly desired topics. If you out of school and happen to already work in AI area, maybe an inspiration to educate more about some areas of AI, you did not cross upon yet. But even if you are lightly interested in AI topics, Richard is a great entertainer, so its worth seeing the video just for fun sake. Creativity is one of the often cited to be “last fortress of human superiority”. Machines cannot be creative, so at least here we are safe to assume human dominance for longer time, right? 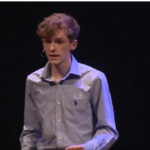 Well, to assess to what extent that is really true, I suggest you see this video by Curtis Hawthorne, who reports on how far (they in Google) machines got so far.Next time you hear this soothing self-defense of humans, you already will have an educated arguments to discuss. The final bonus+1 track id nobody else but Nick Bolstrom, the author of the book SuperIntelligence. In his video he describes basic principles of his book. So if you have not read my review of this fascinating piece of reading take a try with the author himself to motivate you to read it.